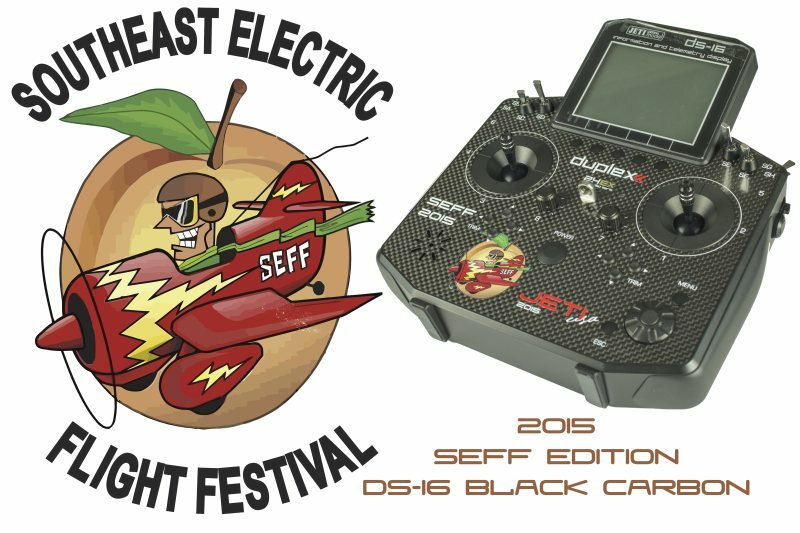 The Fayette Flyers of Georgia are pleased to announce America's premier electric flight festival, SEFF. Our host field will once again be at Mac Hodges field in Americus GA, which features a flat green 1,700ft bermuda grass runway with clear open skies! Pit area and parking are abundant for all. 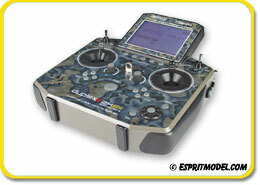 Jeti USA will be Providing the Following Training at SEFF this year for all Jeti Radio, Telemetry and Wireless Systems. 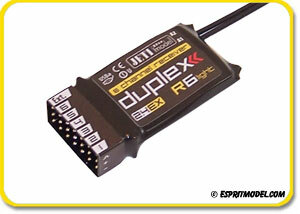 Including Basic & Advance Programming, Telemetry Setting, Voice, Gyro Accelerometer Interface!!!! Two classes each day (Thursday and Friday). 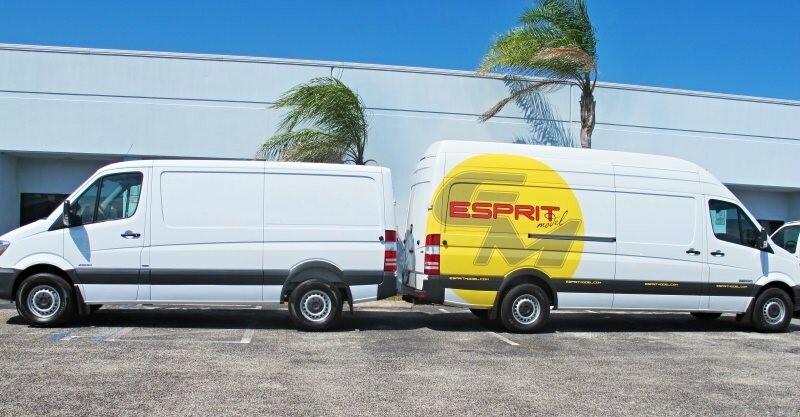 One at 2PM and one at 4PM. The 2PM class is going to discuss basic programming for airplanes, and basic telemetry set up. 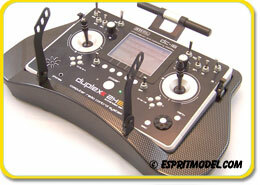 The 4PM class is going to discuss basic programming for helicopters/multirotors, and spirit flybarless controller. People need to sign up for the class at our booth during the day starting on Thursday. Time to Get your Raffle Tickets at SEFF in Americus GA!!! 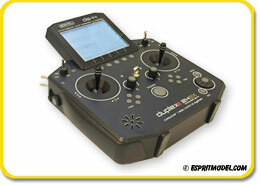 One of the Kind, Special Edition Jeti DS-16 Black Carbon SEFF 2015!!! 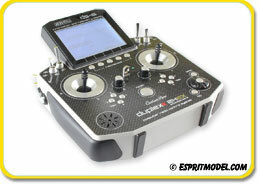 SEFF Week & Jeti USA Radio System Promotion!!! 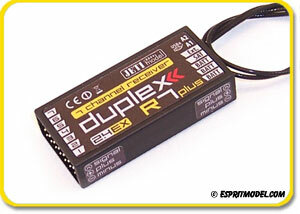 *This offer is not retroactive, eligible radios clearly marked (FREE R6L or R7 Receiver). 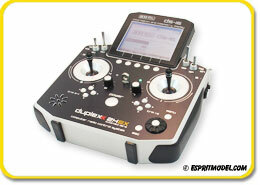 Jeti Duplex DS-14 2.4GHz Radio System Now Only $795.00!!! 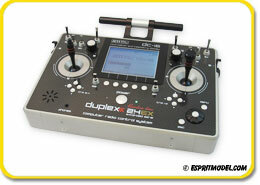 The DS-14 represents Jeti's new, State-of-the-art, transmitter that sets a new quality standard for the RC Industry with its revolutionary features and brand new plastic Hall Sensor Gimbals. Jeti's final touches and finishes are outstanding. The front panel of the system is made of aluminum with UV stabilized clear coating and the case is made of painted, CNC cut, solid aluminum. 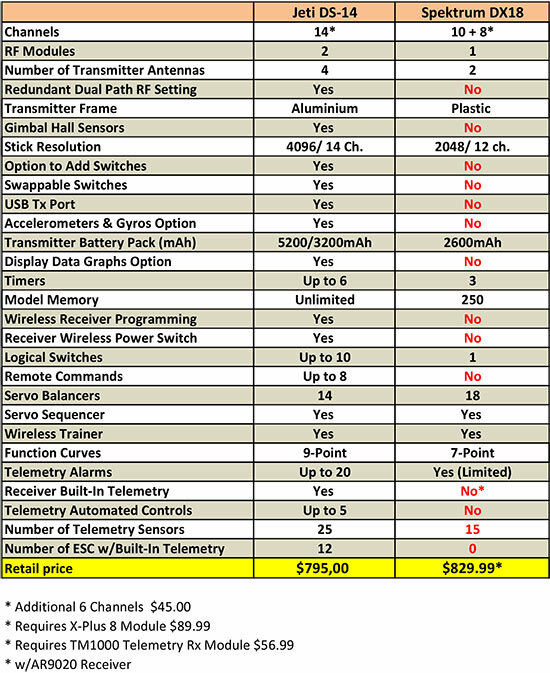 Compare for Yourself the Features of the Jeti Duplex DS-14 ($795.00) and the Spektrum DX18* ($829.99) Radio Systems!! !